In this episode, Jason and I sit down and discuss what has happened in the first month of Niche Site Project 4. We give our official monthly report (see the blog post here), but also share many of the plans going forward with the site. 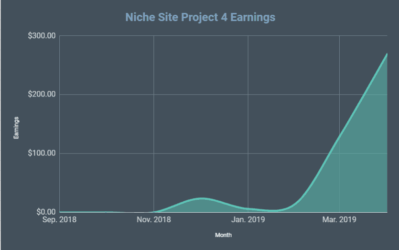 Finally, we discuss several questions that people have about building their own sites or about what our plans on for the Niche Site Project 4 site. Spencer: Hey, everyone. Welcome back to the Niche Pursuits podcast. 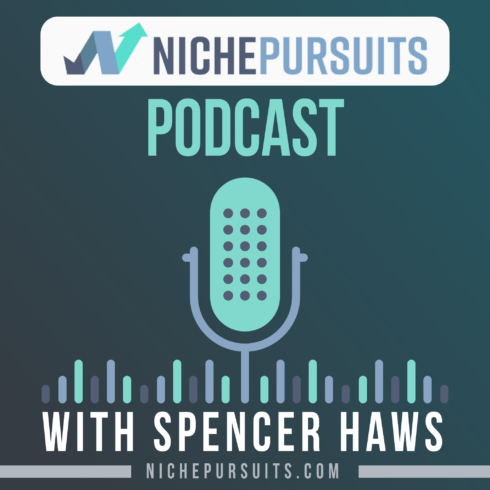 I’m your host, Spencer Haws from nichepursuits.com. Today, I’ve got a good episode. 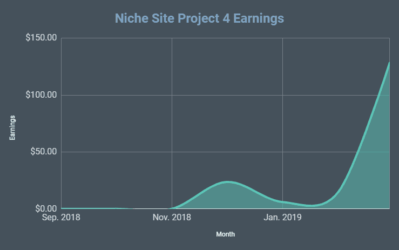 We’re going to do a Niche Site Project 4 recap, catch you up on where we are at, in addition to answering some questions that have come in, some of my plans that I’m going to be doing here in the near future. I do have Jason Wilson with me on the podcast. Jason, how you doing? Jason: I am doing great, man. How are you? Spencer: Doing good. It’s good to get back behind the microphone and record another episode, right? Spencer: We are without Jake. Jake is on vacation at the moment. He’ll be back later this week, but we’re going to plow ahead and do this episode without him to keep everybody posted on Niche Site Project 4. Before we do, anything interesting happening in your world that you need to catch anybody up either with your sites or projects that you’re working on? Jason: Nope. Just humming along, trying to stay on top of stuff working on my own projects, just trying to get a bunch more content published and written. That’s always the challenge is making sure things go seamlessly through any bottlenecks, and then always working on better optimizing and automating my systems for my sites. But that’s really it. Spencer: Always room for improvement. I should also acknowledge that both of us have been working really hard on Organic Traffic Formula that officially launched. It’s been a couple of weeks now, but over at organictrafficformula.com, the doors are still open. People can join there. It’s the course that you and I and Jake put together, to teach people how to rank their websites in Google, get that free, organic traffic that we all love. It’s a very in-depth online video training course. Anyways, we’ve put a ton of effort over the last few months, but it’s always good to be done at the point, right Jason? Jason: It does. Just to brush up on this here, didn’t somebody pinged you and emailed you already that they’ve gotten some good results just off some basic suggestions from the course? Spencer: Yeah. That’s a good point. I just posted that on the Facebook group today. Somebody, just last night, reached out to me via private message on Facebook and said, “Thank you so much, Spencer, for the systems you’ve created in Organic Traffic Formula. I posted a new article 14 hours ago. It’s already ranking number three in Google.” It’s huge. Basically, I created a keyword research spreadsheet as part of the course that you can sort of analyze the competition and know for certainty that it’s easy to rank for keyword and this gentleman referenced that spreadsheet that he used that. That’s really been a gamechanger for him and his contents ranking really quick now. It’s great to hear the feedback. Jason: I agree. I thought that was super cool, seeing that somebody already implemented some of those strategies and they’re already seeing results. Spencer: Yup, absolutely. He learned that directly in the course. Before the course came out, I had shared some tips for using Mediavine. That was actually a public blog post I did on Niche Pursuits. But he took that tip of switching from Google AdSense to Mediavine on a site that he had purchased back in January. It was earning $300 a month when he bought it. Now, it’s making over $1800 a month. He’s been very grateful for some of the tips that I’ve shared. Great to hear the feedback. Spencer: Yeah. Let’s jump in to Niche Site Project 4. I wrote a monthly report for August on nichepursuits.com and shared the timeline and things that are happening on the site. I want to do the same on the podcast here. In August, there wasn’t a lot to report in terms of traffic and earnings, but I’m getting the foundation laid for success in the future. Just to recap everybody on the podcast, what happened with Niche Site Project 4 with my site? It was July 31st that I announced that I want to do a public project. I had actually selected a niche previous to that and then tried to buy a domain for that niche. It was misspelled. I went through this whole thing, bought a different domain, and then decided, “You know what? I don’t even want to go into this niche. I don’t think it’s a good idea.” There was the medic update and other things happening around that niche as I dove into keyword research. There just wasn’t as many keywords as I had really hope for and that was in the senior living space—I can now say that—that was the previous niche that I decided not to go into. I changed my mind, decided not to go into the senior living space, picked a new niche August 22nd, and then bought a new domain a couple of days later, and for the remaining week of August, I basically did keyword research and found lots of great keywords. At the end of August, August 30th, I hired my first author. That’s what happened in August. I don’t know, Jason. Anything in August that we think we should bring people up-to-date on? If not, I’m gonna just say where we’re at now. Jason: Yeah, I think you’re good. I think you can jump into where we’re at today. Spencer: I will also say that I had a lot of people report, there’s lots of participants building their own niche sites as part of Niche Site Project 4, and over 120, I think it was close to 130 people, actually provided a monthly report they shared, how much traffic, how much earnings. Most people had no traffic and no earnings because they just barely built their site, but there are a few people that are starting to get some traffic, a few people that have made $5 or $10 on their site. It’s really cool to see. Lots of participants. 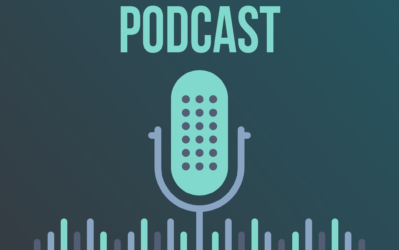 If you’re listening in on the podcast, be sure to check out nichepursuits.com if you’d like to share your next monthly report for September. In terms of where the site is now, I’m really excited with some of the progress that’s been made. I hired about four different authors that I’m just testing out. I imagine some of them will leave and then maybe I’ll hire new authors, but I’ve got four content writers right now. I found them on a combination of Upwork and just privately on Facebook or email. So far the results are pretty good. I’ve set up systems. That’s where I’ve been spending a lot of my time is setting up essentially spreadsheets to organize the authors, give them checklist that they should go through, give them good examples, templates they should be following when they write the content, and that sort of thing. I now have four articles live on the site, with another five or six articles in draft format, that I need to go through and edit and publish those. Things are starting to happen quickly now. I expect by the end of September, I should have probably 15-20 live articles on the website. The good news is that I’m starting to see traffic. I just went over to the Google Search Console and in the last couple of days, I’m starting to see a couple of clicks from people coming from Google. I’m starting to get some natural traffic from Google. It’s a really good sign. Jason: That’s awesome, man. Would you say, for your writers, what’s the average that you’re having them produce for you right now? Would you say two a week per writer is probably about right? Or would you say that they’re doing about one article per week per writer that you’re going through? Spencer: It’s closer to two articles per week for sure. I have two writers that definitely are on that schedule of about two articles a week. One other writer is probably one article a week. The final writer I batched 10 articles–these are more image-heavy type articles. I gave her 10 and she may be able to crank through all 10 of those in about two weeks. Jason: That’s awesome. I think it’s good for people to know just what to expect because when you’re managing multiple writers on your own, there’s definitely an art to understanding what kind of workload they can expect to turn out for you. Different writers work at different paces, but I usually think one to three per week per writer is probably the right pace that I’ve seen for most of my writers when I hire them part time. I think it’s good to come out with that expectation. Obviously, there are content production services you could go after that can produce stuff faster, but they’re just doing the same thing. They’ve got a good admin system to manage all the writers and they’re just contracting the content out to writers and then bringing it back to you for an upcharge. Spencer: Yup. Exactly right. That is good to know. I like to have multiple authors just so I can get more content out there. Other people maybe different. They can either write the articles themselves or maybe they just have one author that they really like a lot, and that’s fine too. It can vary. No outsourced authors or you can have 10. 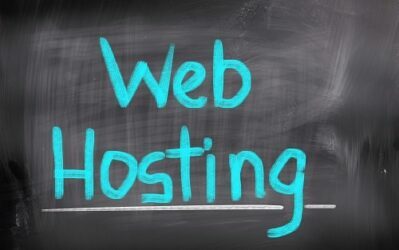 It just depend on how quickly you want to build up your site. Jason: Did we find these writers on Upwork or where was it? I know you were managing the job creations. I’m just curious where you found them. Spencer: I did find a couple of the authors on Upwork and then one was through previous contacts that I’ve had and then another one was just through Facebook. Somebody actually reached out to me on the Niche Pursuits Facebook group and I ended up working with her. She’s been great. She’s a good writer. I know people maybe curious because somebody else has asked me this already on Facebook is what’s the length of the articles that I’m writing. They vary, depending on the keyword, but the range is about 2000 words to 4000 words is the range of length that I’ve been sticking with for the most part. The search volume of the keywords that I’m targeting—again, that range is a lot—anywhere from, about right now, 400 searches a month to about 6000 searches a month. I’ve got a lot of different keywords in those search volume ranges. Hopefully, that gives people a good idea of where I’m at. Got four articles live. Expect another 10-15 to go live in the next couple of weeks. I’m hoping that I start seeing a lot more traffic coming from Google. Finally, by the end of this month, I also do plan on getting Pinterest set up and start pinning some of the images there and doing other link building/social media set up, Facebook and Twitter I’ll probably get those accounts set up and start sharing some of my content there as well. Having said that, it pretty much catches people up-to-date. I don’t have any earnings on the site yet. Maybe by the end of the month, I don’t know, but I did get one affiliate click on one of my Amazon links yesterday. That’s good news. Maybe one of my authors clicked it, I have no idea, but it wasn’t me. Hopefully, I’m going to assume it was somebody came from Google, because I know I’ve got a few people and they clicked my affiliate link. We’re moving in the right direction. Things start off in just a slow trickle in the first month, but they really start to pick up steam in the second, and third, and fourth months. It’s important for everyone listening to stay consistent. Just keep doing the work for the first one to two months, and then you’ll start seeing the results. Should we jump into some Q&A here, Jason? Jason: Yeah, I think some Q&A would be great, man. Spencer: I agree. I asked people again in the Facebook group for Niche Pursuits, to ask me any questions that they have, of things that I haven’t covered yet in regards to Niche Site Project 4, what are my plans going forward. I answered some of those in my most recent blog post but a lot more questions came in. Jason, I’m going to let you look at some of those questions that came in on the Facebook group and let’s just talk them through. Spencer: Link building, yes. This is one that people seem to always want to skip to link building. They want to skip everything out to know what’s the link building strategy. I will add this caveat that, for me, link building is always been secondary. Lots of my sites, including Niche Pursuits, and other sites, I don’t do any link building. I will just say that, I think some people put too much emphasis there, where they should be worrying more about great content, keyword research. But I do plan on doing some link building for this site. To start with, it’s going to be just very basic to get the ball rolling. I’m going to do some blog commenting. I’m going to be creating social profiles on Facebook, Twitter. I’m going to create a Pinterest account. I do think that can help a lot to get some links and even secondary links as people share your images. I’m going to do some basic resource page link building. that’s where I’m going to start. It’s going to be pretty basic on the first month or so and then beyond that, we’ll see. I’ll decide how much more advanced link building I want to do. Where there any follow-ups on that question or maybe follow-ups from you, Jason? Jason: No, I think most people are saying link building in general, when I’m scrolling through these questions. I think you outlined it pretty well. Do you that there’s going to be a specific link building tactic that you’ll spend more time on than others when you first start? Jason: Do you think that there’s one of those few that you just mentioned that you’ll just spend? Is there one that you might spend 70% of your time on versus the others or you might spend a lower amount of time? Spencer: Probably Pinterest. Pinterest isn’t necessarily a link building strategy, but I’m going to be spending more time on Pinterest than I am making blog comments or doing resource pages or that sort of thing. Because like I said, I do see a lot of SEO value in Pinterest and I’m going to spend a lot of time there, and then we’ll see what happens. I’ll tweak things if needed in the future. Jason: I think that’s a great idea because you get a lot of good exposure to other bloggers on Pinterest. People will snag your content and get your links if they like your content when they see it on Pinterest. It’s not just the social value factor, but you could end up getting some collateral damage links from other sites just as a result. Spencer: Exactly. I see that as a great way to expand the reach of the brand. That’s what I’m going to go for. Beyond that, I’ve got another month probably, before I really think about more advanced link building. We’ll readdress that here in a month or so. Jason: Awesome. Here’s a good question I actually saw, I like it. The question is, “What did you do to make your best pages, your best X for Y, whatever your product review pages. What did you do to make them convert better?” He’s got some pages that are getting to number in his home country, but he wants to improve his overall conversions and he’s curious what he can do to improve that. Spencer: That’s a great question. There’s a couple of tools, specifically talking about best Amazon products, best safety razor, for example. There’ something you’re referring people to Amazon, you want to convert people to clicking on your Amazon link. I’m a big fan of product comparison tables. I might have an introduction and then near the top, I might have my top three products and a product comparison table just below that introduction, to say, “Hey, if you’re in a hurry, here’s our top three picks.” and then below that, I have the more in-depth analysis where I will review 5-7 products on Amazon. 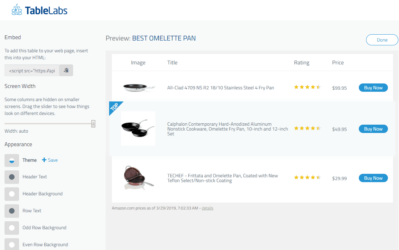 Right now, I’m using the plugin AAWP as the call-out boxes, the Amazon boxes that have a picture of the product, a brief description, as well as a button to go buy that on Amazon. Those couple of things are what I’m using to improve conversions. Any additional thoughts from you, Jason? Jason: No, I think that’s a great strategy. It’s typically those two and then maybe some call-out buttons like, “See here on Amazon,” or, “Click here to view on Amazon.” I think those are generally good if there are […] to post type. It really depends on the niche. Conversion can vary widely depending on what niche you’re in, but I’d find the buttons seem to work well too. Spencer: That’s a good point. Actually, I have not added those yet, but I do plan on going back and then adding buttons after each product write-up. The only reason I haven’t done it is I’m still tweaking the branding and theme of the site itself. I want to get all the colors perfect. Once that’s done then I’ll know what color I want my buttons and I’ll go in and add those all in. Good point. Jason: We have another good question here. It’s partially applicable to the Niche Site Project 4 but for one of our properties, something that we recently did. People are asking what our SOPs for finding quality writers are. Maybe you will want to talk a little bit about the screen process that we set up because there’s a couple of questions about screening and hiring. Spencer: Actually, do you want to dive into that because you had a whole Google form that I know you did with our most recent round of hiring. This is for a different site, like you said, outside of Niche Site Project 4. Jason: But we’ll use this for Niche Site Project 4 if we get to a point we need to bring on more writers. I think we just recycle this and use the same process because it’s been good. Spencer: I agree. Let me just state the process I use to hire some authors on Upwork but I actually think your process is perhaps even better. I just posted a basic job on Upwork. I tried to find somebody hourly, something different that I haven’t tried before. I asked to find some hourly writers and I was very clear that I was okay hiring beginners or somebody that doesn’t have a lot of experience on Upwork. Especially if somebody’s just starting on Upwork, you can find somebody that is willing to accept a lower rate just to build up their profile and get their name out there. I basically asked for people that have an interest in the niche, that are willing to write hourly, and believe it or not, I state in the job that, “I’m not overly concerned with you hitting certain SEO keywords. I’m more concerned in you just being a good writer.” Those are some of the things I state in my job. Once they post something, I’ll look at essentially their resume on Upwork and go from there. That’s my basic process. I’m not real picky. If in their example work, it looks like they’ve written well, I’ll just hire them, have them write an article, and then that’s the tell-tale sign. It’s like, “Okay, they did a bad job. I’m not going to give you more work. If they did a good job, I found somebody, great.” That’s my quick process, but Jason, yeah, share what you’ve done. Jason: I include all the detail that Spencer was talking about for the most part. We tested this in a different format. We went to a writing job board and what we did was we created a Google Form. The first time we screened for this site, we posted it on a virtual job board, and we got, I think it was 350 applicants. It was extremely overwhelming and almost impossible for me to go back through. I spent hours just chasing writers, asking them what they’re rate was. Even though I listed that in my requirements of what I wanted them to include, very few of them did. I would say probably only 20% include what their writing rates were. The other 20% included a link to their work, which, both of those were required screening questions. What we did this time was redid the job description, we included a Google Form link, and require the writers to go in and fill out all the details on the Google Form. In the Google Form, it allows you to mandate that they fill out a field to continue. Basically, what their pay expectations are, whether that’s hourly or per word. And then also require them to provide a sample of their written work. Instead of having 350 applicants that I have no idea where they’re from or whether they’re qualified for, we had this Google Form that was five pages long. We got about 95 really good submissions and we were able to download that directly onto a spreadsheet and then filter and sort our writers based on the responses, the quality, and found a great combination of budget and quality. Now we have, I think it’s about eight writers right now that we are trialing for this particular site and I am hoping that at least 2-3 of them with go full-time once we’re done with the process. Spencer: That’s great. There’s some ideas there. Using a Google Form to make the process of elimination much quicker, much easier. Good idea. I know that people have asked what I’m paying. I know that’s a common question. How much do people expect to pay? What’s the typical author rate? Like I said, I am going hourly, I’m paying $15 an hour. But what that equates to in terms of cost per word, the way it’s working out right now, it’s about 3-4 cents per word. That’s $30-$40 per 1000 words. Jason: That’s the budget that we’re using for the other property as well. We’re right there in that ballpark and of the 95 applicants we’ve got, probably about 20 of them were in that wheelhouse. Spencer: Awesome. 3-5 cents is a good metric to shoot for. Quality can range a lot, but I’m finding that these authors are really good at 3-4 cents. I do have one author, she’s written one article. I’m going to have her write another one because she’s excellent. She’s requested 6 cents a word. I’m going to have her do one article a week and if it’s just really great work, I may keep paying her that higher rate. She spends a lot more time on these articles and does a good job. But that gives people a good idea of what I’m paying per article. Let’s maybe find another question. Knock out a couple of more here. What do we got? Jason: I’m going through here right now just to take a look at some of the other questions. Are strategies that much different than Niche Site Project 1, 2, and 3 for what we’re doing with Niche Site Project 4? Spencer: Is the strategy that much different? Yes and no. I think that strategy is big picture. The strategy is the same. Try to find low competition keywords, rank in Google, make money–that’s the strategy. But the implementation of that has changed quite a bit since 2011 when I did the first Niche Site Project. I will just emphasize some of the major changes. More in-depth content, targeting multiple keywords per article. I think for Project 1 and 2, it was mostly just pick one keyword for the article and that’s it. Now, I’m doing a much more in-depth research process where I’m usually looking at four or five different keywords or maybe more per article and organizing those. Yes, I still have a main keyword, but still, there four or five sub-keywords that I’m also trying to rank for in those same articles. The content length and depth itself is probably much greater. Back in the first one or two projects, 1000 words or 1500 words, that was considered a great article. Now, 2000 words is almost a short article now for me. Again, it depends on the keyword. But so far, I think 2200 words is the shortest article I have now and 4500 words is the longest. I’ve only done four articles at this point. But most of them will be probably almost 3000 words. That’s a change. I don’t know, what else? Focus is going to be a lot on site speed and mobile user friendliness. They were not a concern years ago. Pinterest is a change. I’m going to be looking at branding and using the Pinterest visual search engine. Those are some of the major changes. I don’t know if there’s anything else there. Jason: I think you’ve covered it because a lot of the basics don’t change over time. A lot of the quality stuff from then still works today. It’s just a matter of making sure that you build on those and then really improve with the stuff that’s working now. I think you just hit on most of that. Spencer: Again, I often do look back at my old blog post from 2010-2011 and they’re still super relevant. I wouldn’t change a thing. There’s certain aspects of how to find a low competition keyword. It’s always been the same. But there are bigger picture things, depth of content, or in more about just on-page optimization, site speed, mobile friendliness, having a super great-looking website, one that doesn’t look like an affiliate website, branding, those sorts of things are becoming more and more important. Jason: Right. Got it. We have another good one. Once your site is up, how do you decide which Amazon ads or AdSense ads to use on your site and where do you place them for the best results? Spencer: I explained how I would monetize an Amazon affiliate website with the tables and the call-out boxes and buttons. I would stick to that if you’re doing Amazon affiliate products. And then display ads, I don’t plan on adding any display ads until the traffic is significant. That probably will be greater than six months down the road. I plan on mostly just monetizing directly with Amazon Associates but as far as placement, having a display ad in the sidebar, in the footer, and then maybe in the middle of the content, just depending on your site. It really depends on the type of site you have though, doesn’t it? The more I think about it, if you’re not monetizing with Amazon Associates and you’re just going for Google AdSense, that becomes much more important. You want to include Google AdSense ad near the top of your content. Maybe just right-justified or left-justified under the first couple of paragraphs of your content or on your images, there’s a lot of image display ads. Those sorts of things. It just varies depending on the type of content, but that’s my plans for my site. Jason: Awesome. There goes a good question and equally good answer. When do you recommend folks that are Amazon Associates start putting Amazon Associate links on their site? There’s a question because I know some people get freaked out when they go and apply and they get approved but they only got 180 days to make their first sale. For people who are just starting out, when would you recommend folks start to apply? Spencer: I’ve already got an Amazon Associates account, so I’m not worried about that. I am day one publishing my Amazon affiliate links. What do you think on that, Jason? If we’ve got 180 days, what do you think? Jason: I’d await until you get at least a little bit of organic traffic. Maybe month three or so when you start getting some significant traffic, then worry about the monetization. Not to mention a bunch of Amazon links all over your content when you first start out might put people off if you’re doing any outreach or link building. They might look at your site and see that it’s an affiliate site, and if they do, then they maybe less likely to link to you. I would say three or four months is a good time frame. But ultimately, you want to make sure that you’re at least waiting until those pages have some traffic before you do. Spencer: I think that’s a good rule of thumb and people can do whatever they have an appetite for maybe. Some people, after they see they’re getting 10 or 15 visitors a day from Google, maybe they’ll think, “You know what? I think I’m happy with that level to start trying out some Amazon affiliate links. That’s just fine. People can do that. If you’re getting 10 or 15 visits a day, you probably are going to make a sale or two a month at least and you would get past that threshold of not having to worry about making that first sale from Amazon. People can whatever their appetite is for putting affiliate links, they can do that, but I totally agree with Jason that, as far as appearances doing link building, it might make sense to wait a few months to do that. Jason: I have one more before you move on. Somebody is asking if you have SOP templates that you would be willing to share? I think we actually do that, don’t we? Spencer: We do have some SOP templates that are shared in the Organic Traffic Formula group. If people are joining Organic Traffic Formula, I have created not only the SOP spreadsheet/checklist that people can use for their content or hand over to their author to use, to make sure they’re producing high quality content. But also, we’ve created seven or eight different content templates that they can hand off to their author and say, “Okay, here’s how to write a buying guide. Follow this template. Here’s what needs to be included, step-by-step exactly that they can use as a reference. Unfortunately, I’m not giving away those for free to everyone because those are included in the paid course, Organic Traffic Formula. But I have created those and those are available. Spencer: If there’s not any other questions, I think we’ve covered it pretty well. Those are what my plans are going forward, that’s where Niche Site Project 4 is right now. I got some content up, I’m getting that small trickle of traffic, and some of my plans in the near future. I don’t know. Anything else that we should hit on before we wrap it up, Jason? Jason: No. I can say I’m actually looking at the site right now. It looks good. I haven’t been completely involved with all aspects of it. I’m just a lot like via your readers. I’m along for the journey and watching what you’re doing and it’s looking good so far. Spencer: Thanks. It’s been fun. This is a project I’m trying to do mostly myself. I want to be hands-on, I hired the authors, I’m editing the content, I’m actually inserting the images and hitting publish. I’m doing the work. I want to be hands-on so people are aware of that for the most part. It’s been fun to jump in, get my hands dirty, and build the site. I’m excited to see where it goes over the next few months. Jason: Awesome. I like it. Spencer: Yup. I think we’ll leave it with that. I guess people are good update, where the site is, when Niche Site Project is. I will be doing another monthly report at the end of September and I want to get reports from people that are building their own niche sites from scratch. 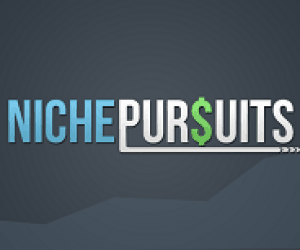 Please go over the nichepursuits.com, make sure you’re on the email list and are available in knowing when to report on your niche site. I’ll send out an email so that people can report at the end of September. Early October, we’ll do that report for everyone as well. With that, I appreciate everyone listening into the podcast and I hope everybody enjoys their week and does well with their businesses as well. Thanks a lot, guys.